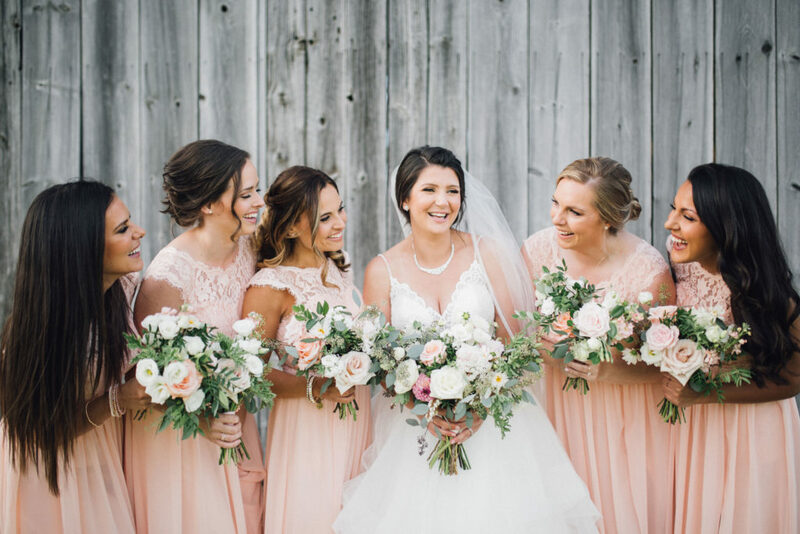 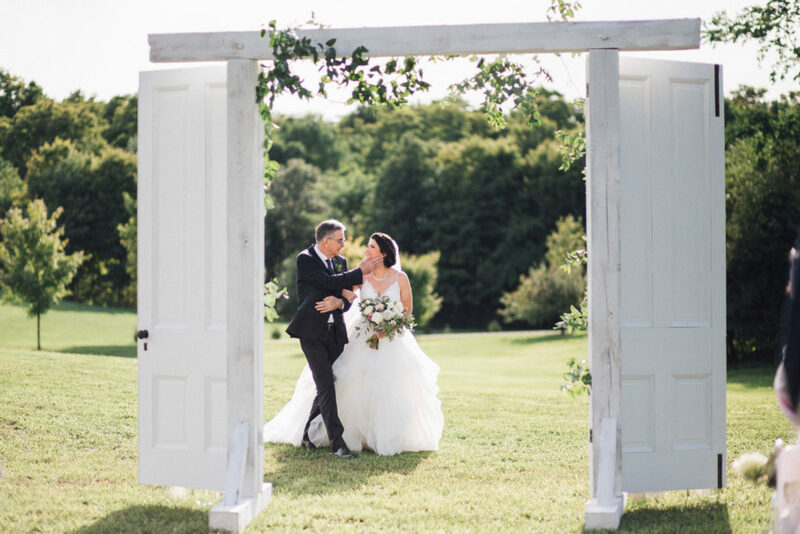 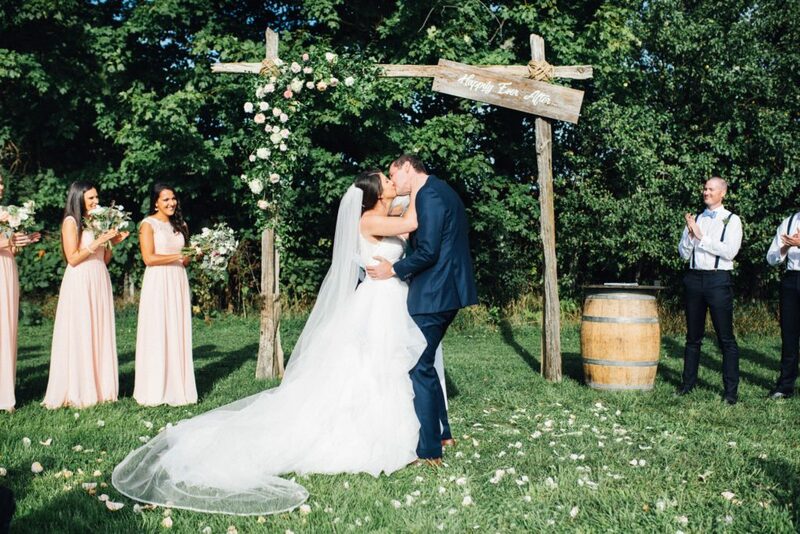 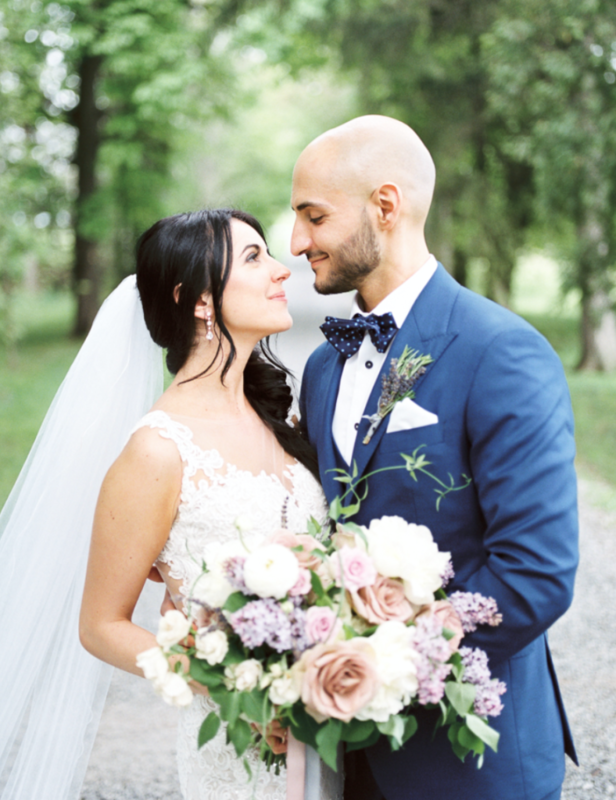 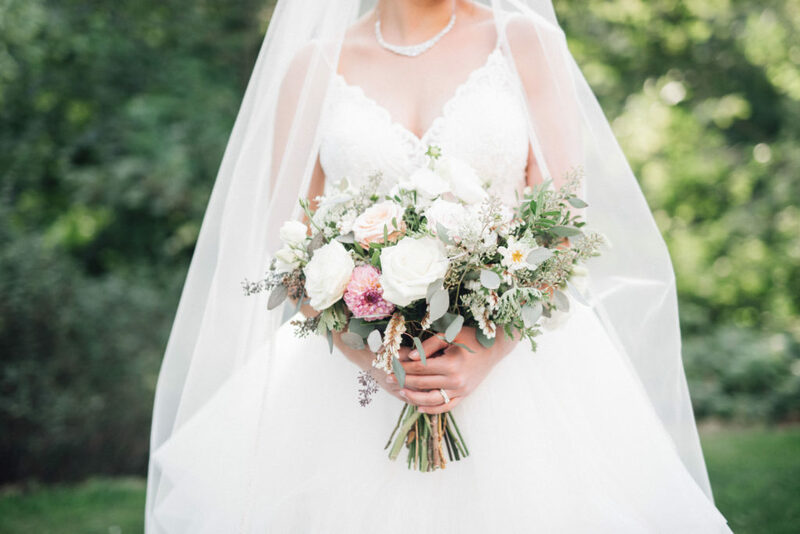 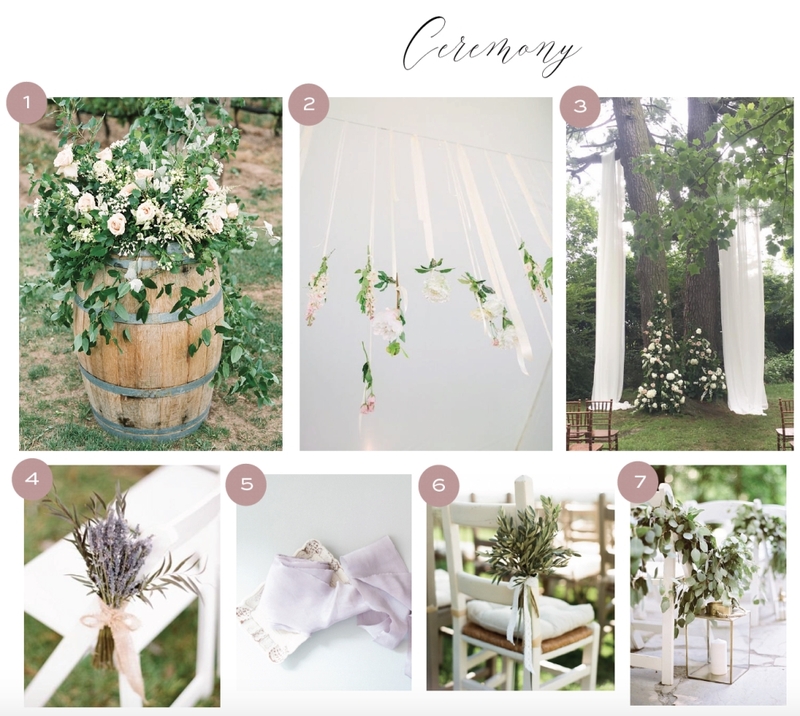 When it comes to the overall look and feel of their wedding day, a struggle many clients have is that they often know what they do and don’t like, as well as what style of wedding they are drawn to, but don’t know how exactly to bring all of the elements they like together cohesively. 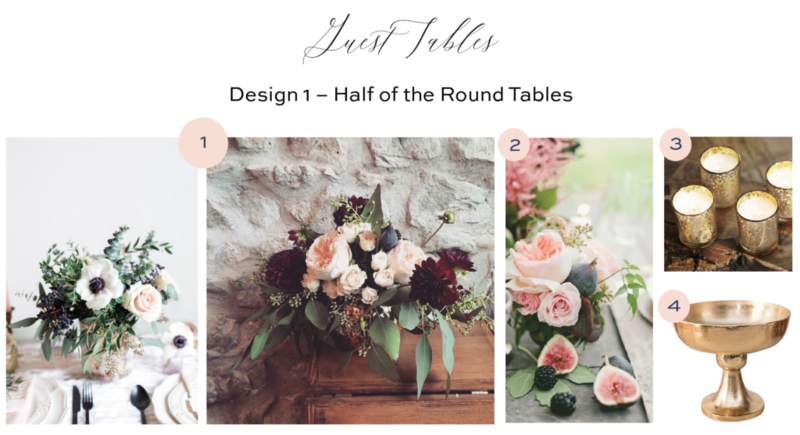 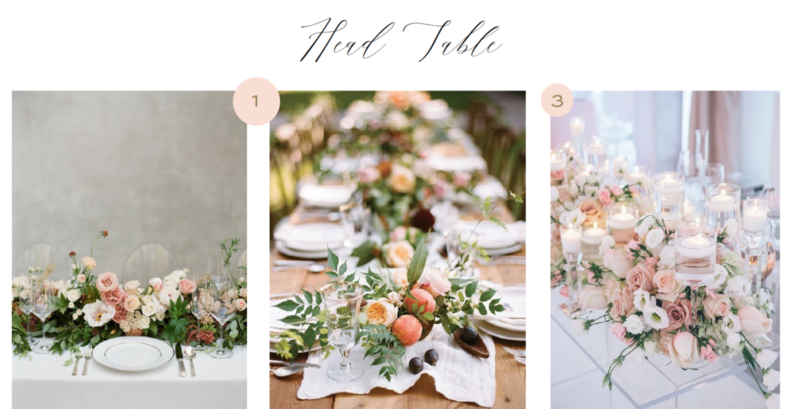 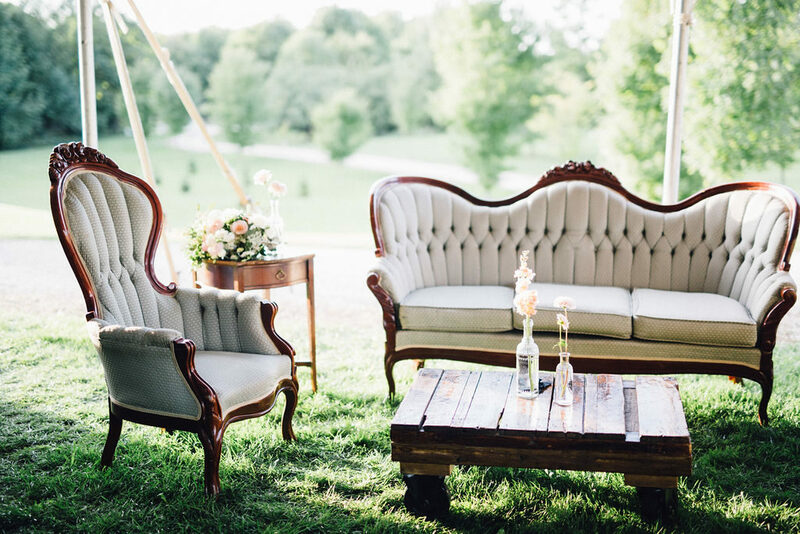 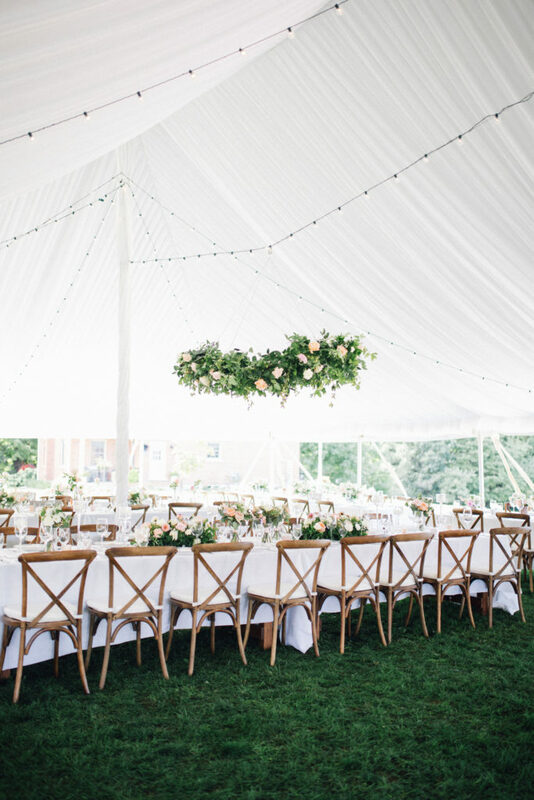 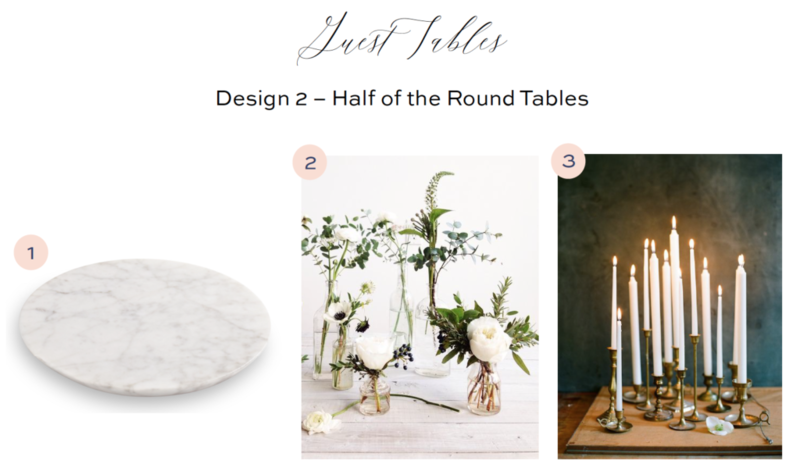 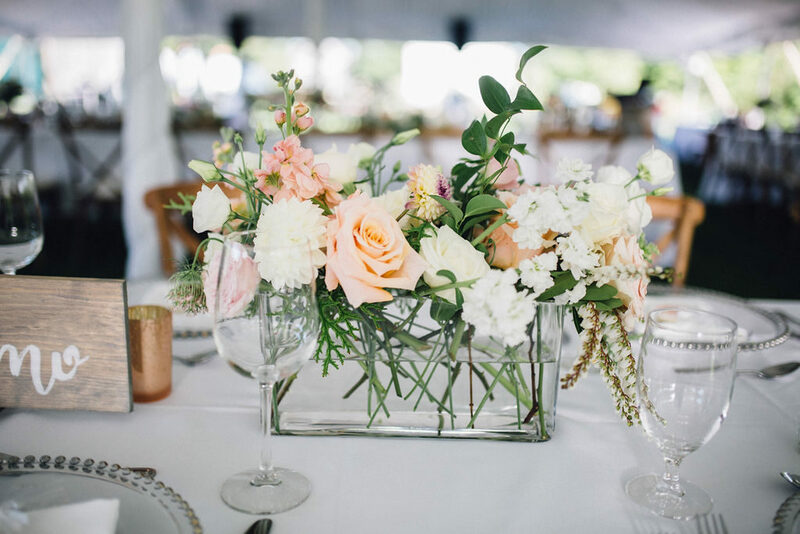 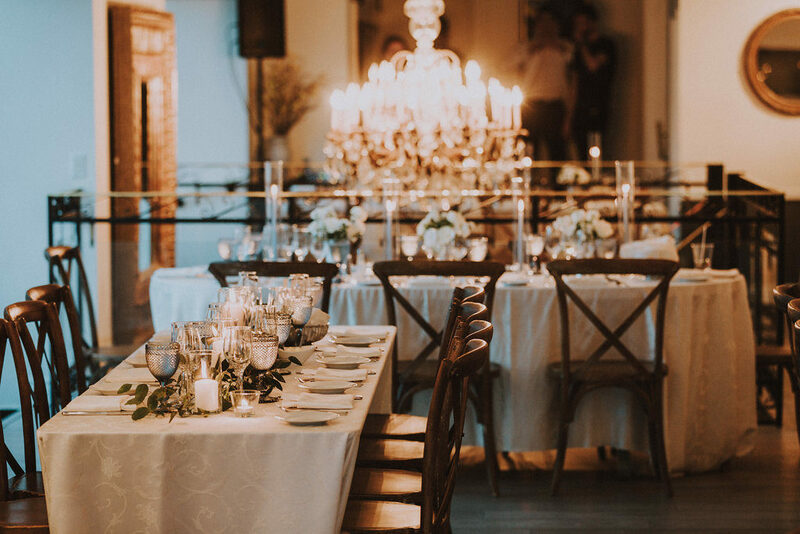 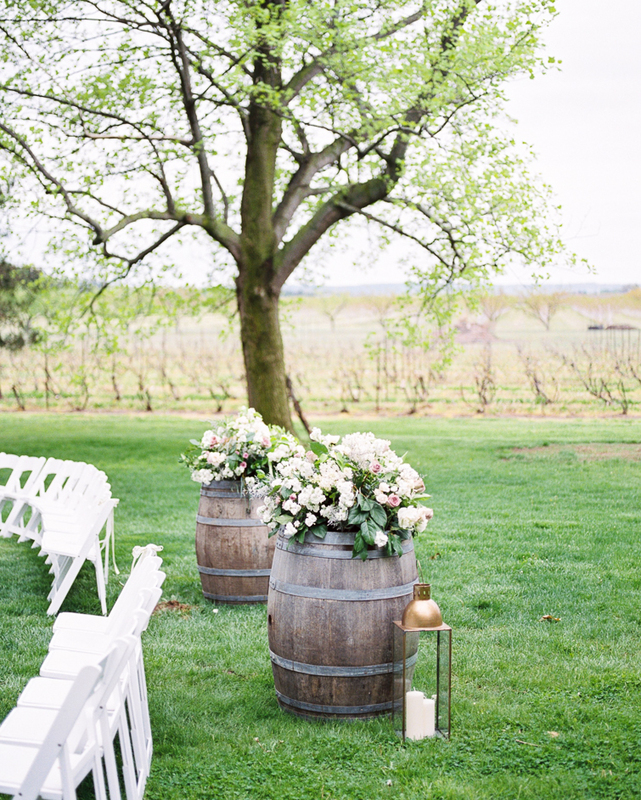 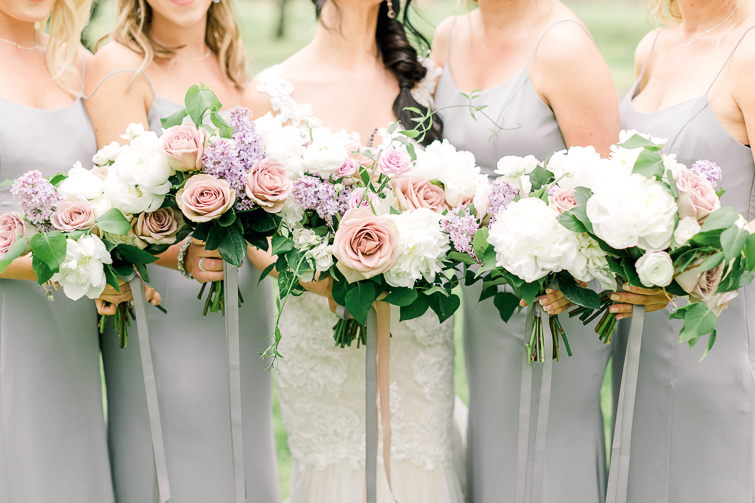 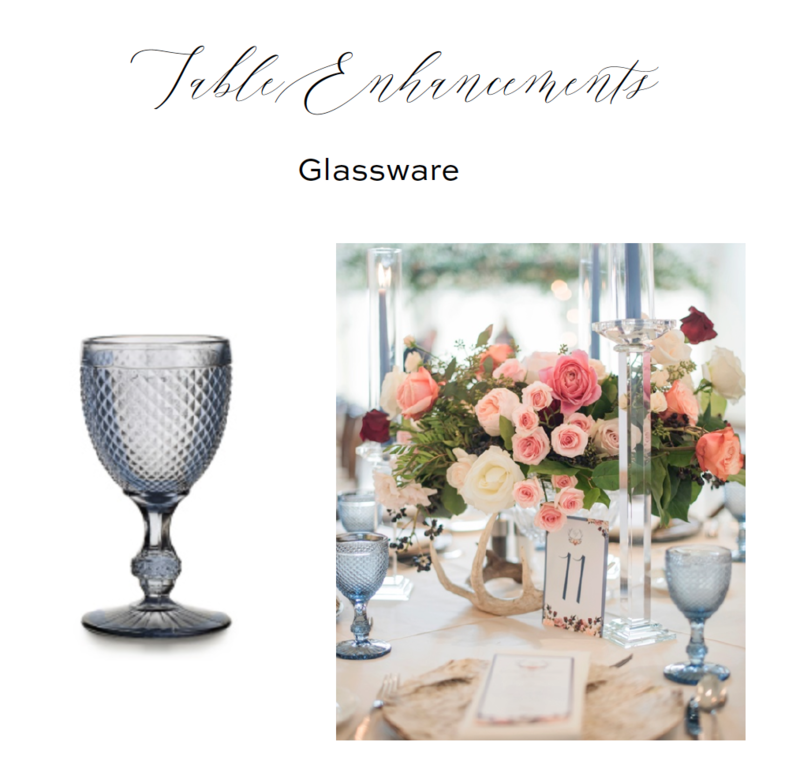 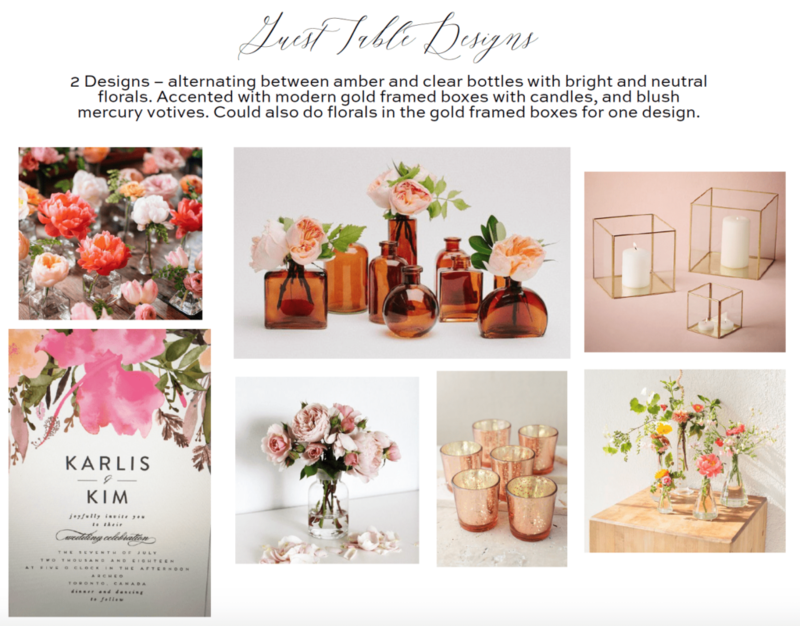 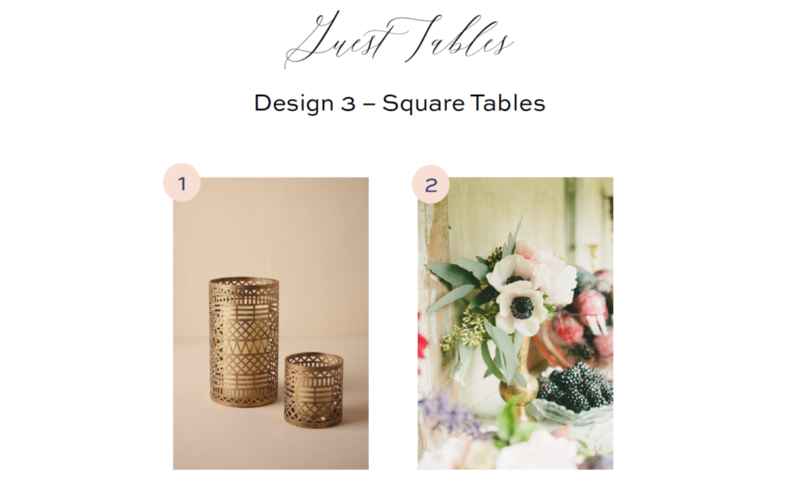 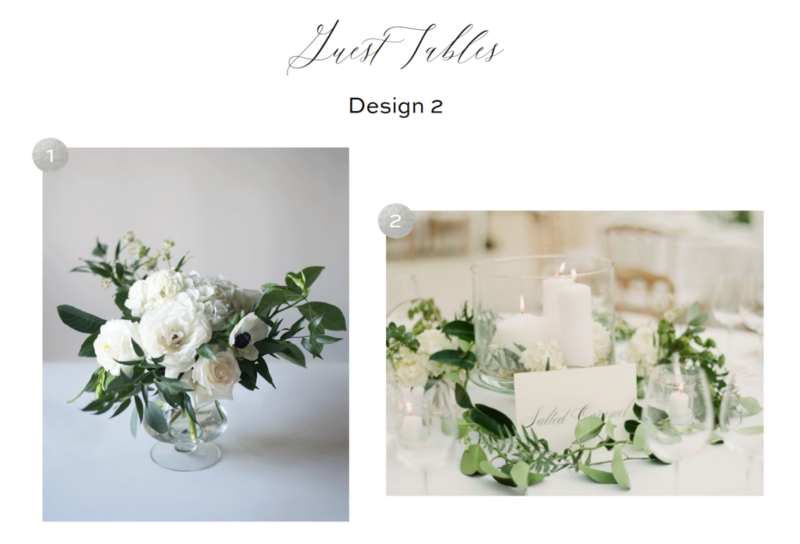 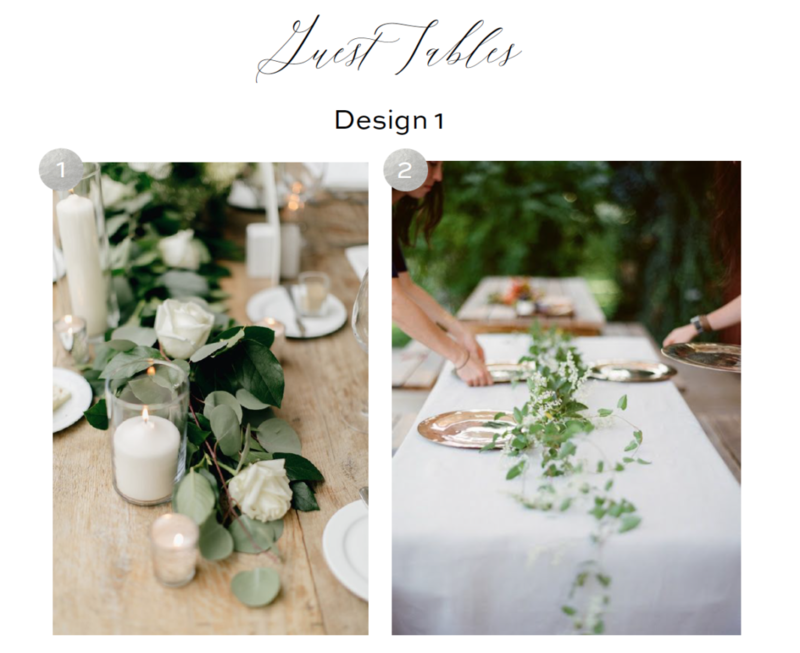 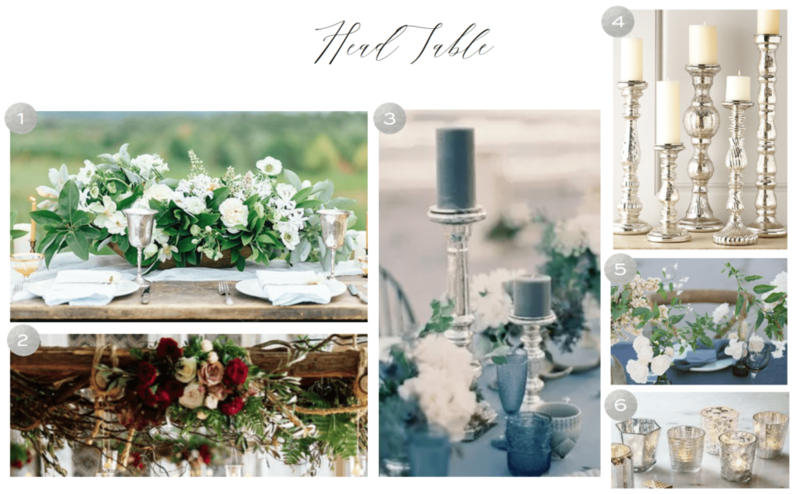 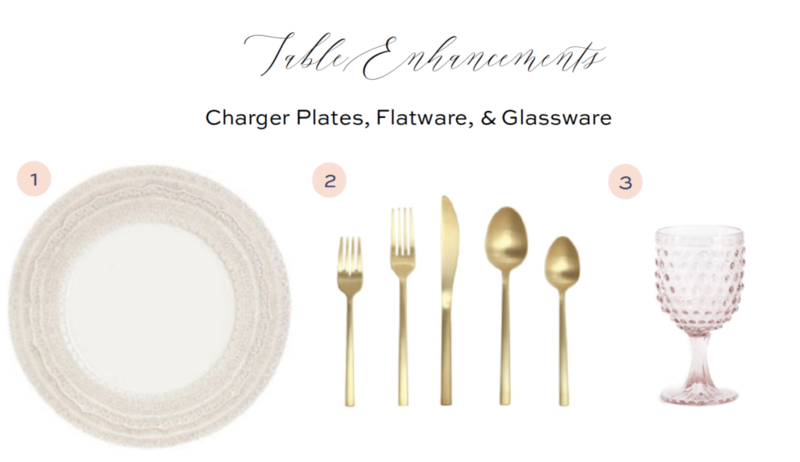 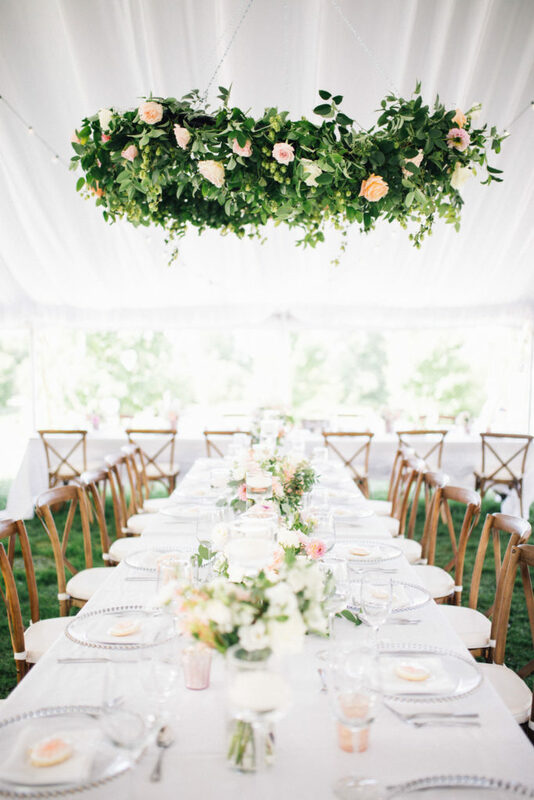 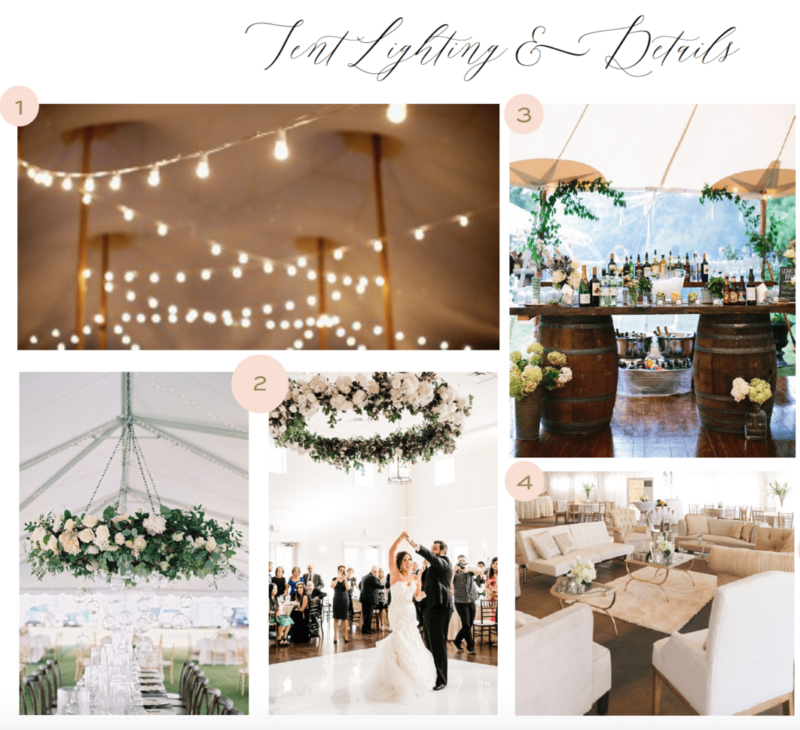 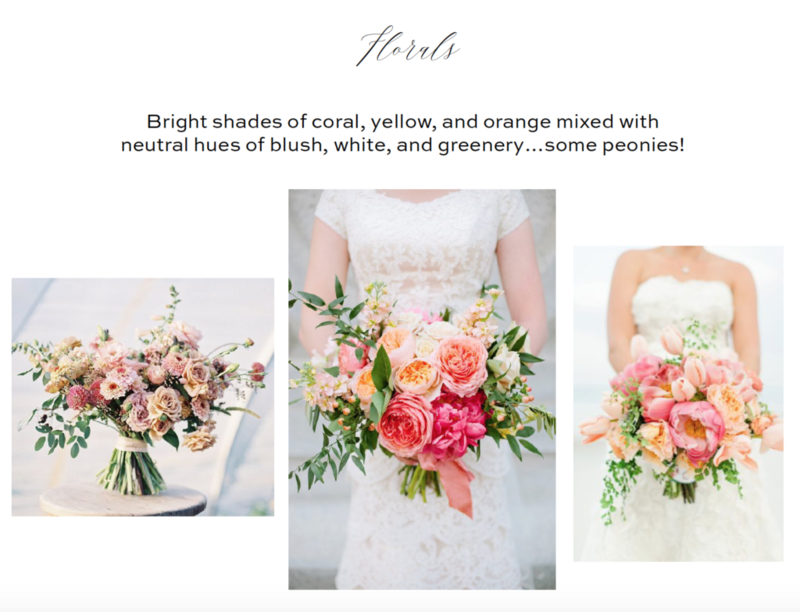 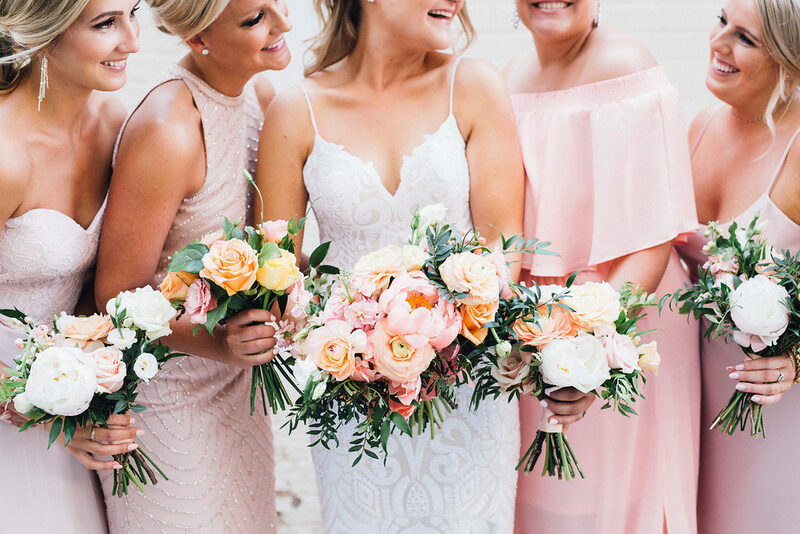 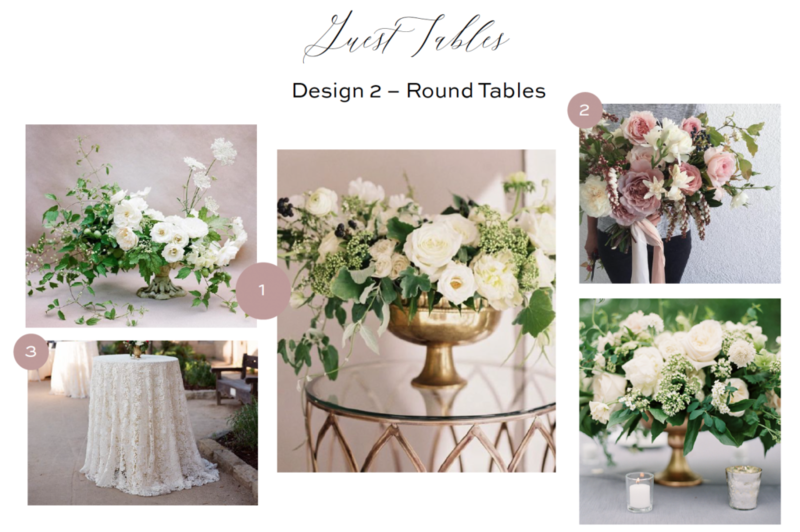 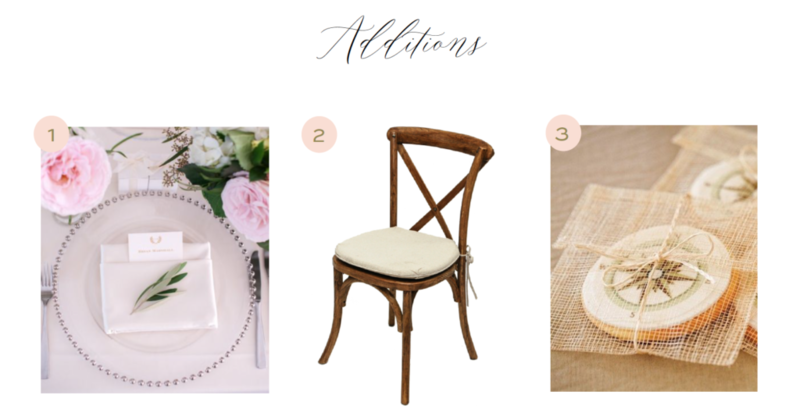 In a day and age where we are constantly bombarded with inspiration from Pinterest, Instagram, blogs and other sources, the design portion of a wedding quickly becomes a very overwhelming part of the planning process. 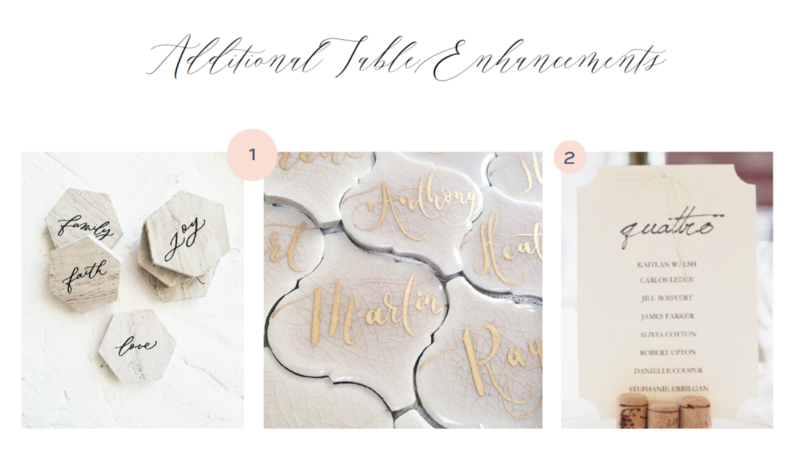 When you hire us for our Design services, we truly want to know about YOU (and your fiancé). 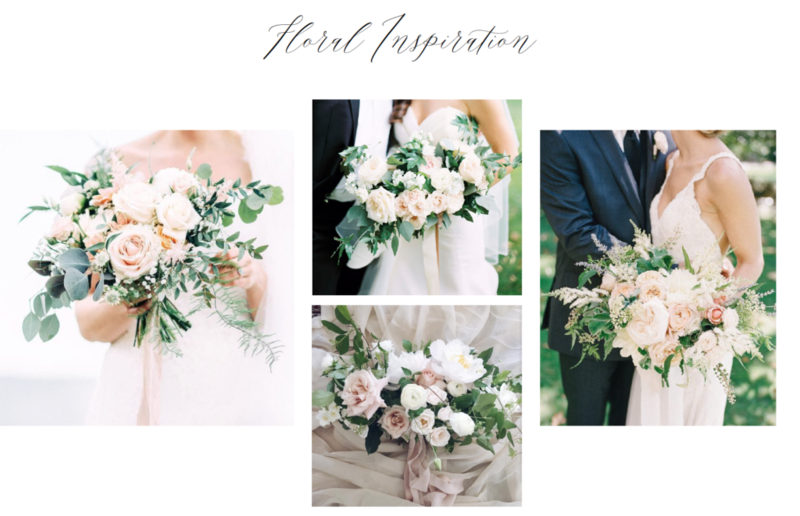 We don’t just want you to share inspiration photos with us (although we do want to see those too! 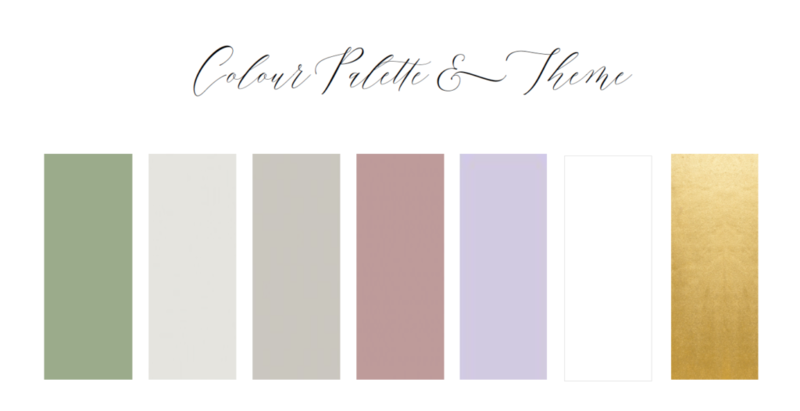 ), we want to understand what colours you’re drawn to (and which ones you’d rather leave at the back of your closet), what you do for fun – apart and as a couple – where you shop for home decor, and what inspires you. 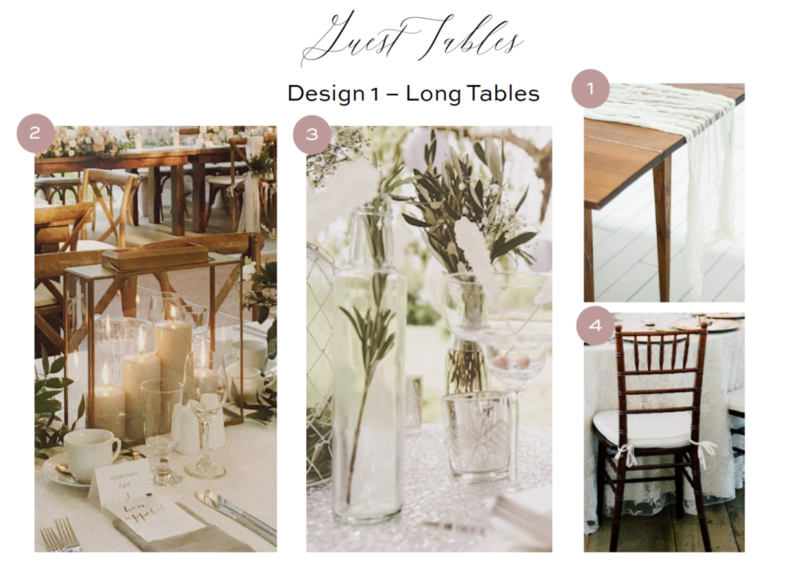 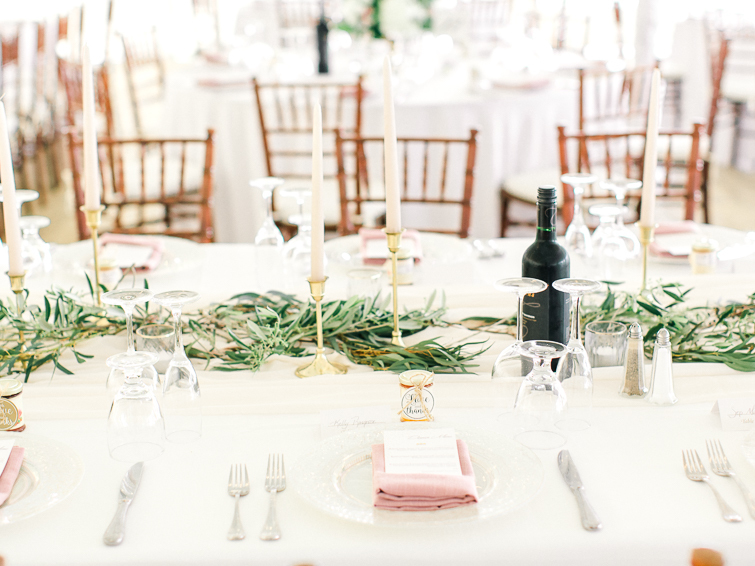 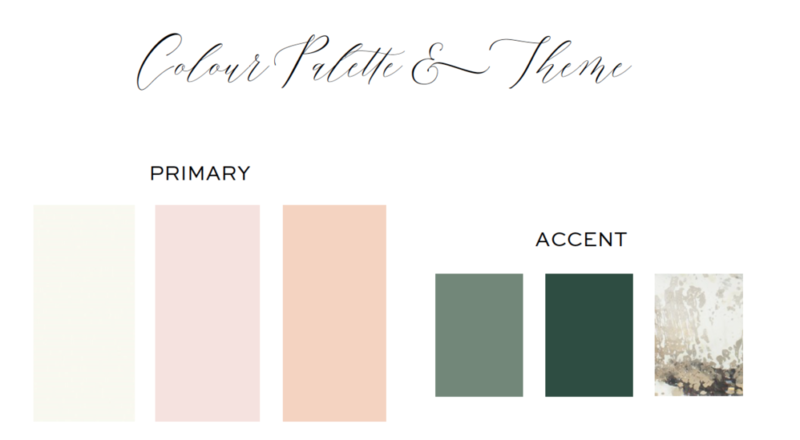 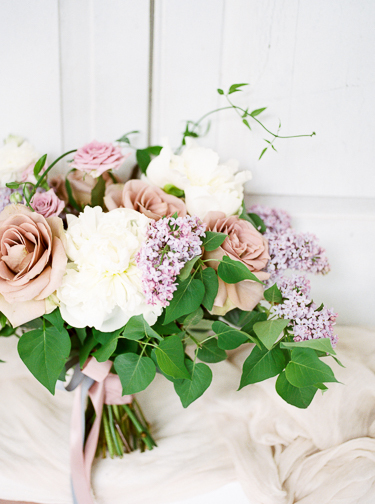 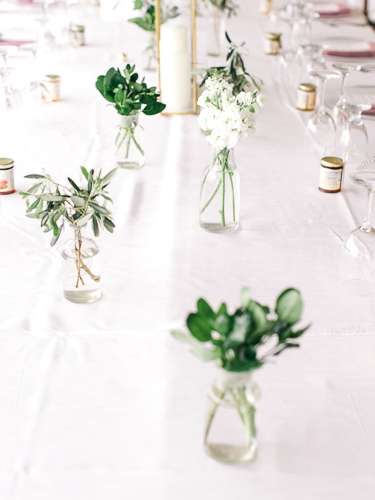 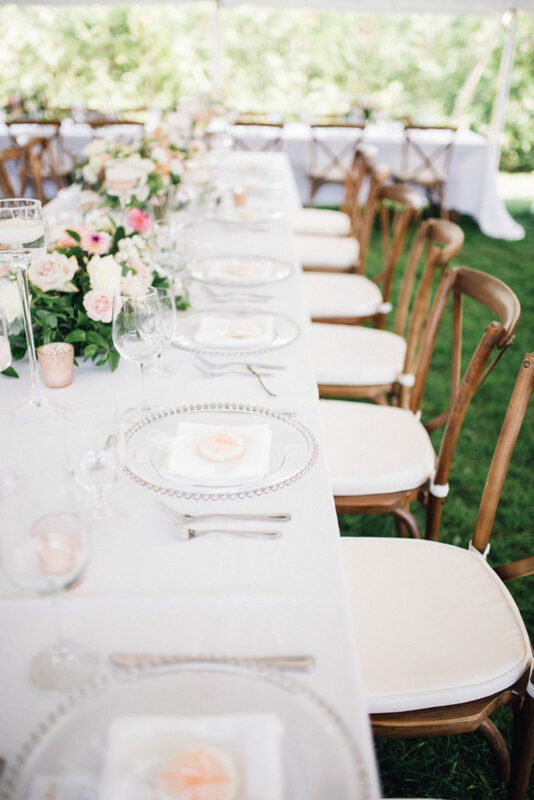 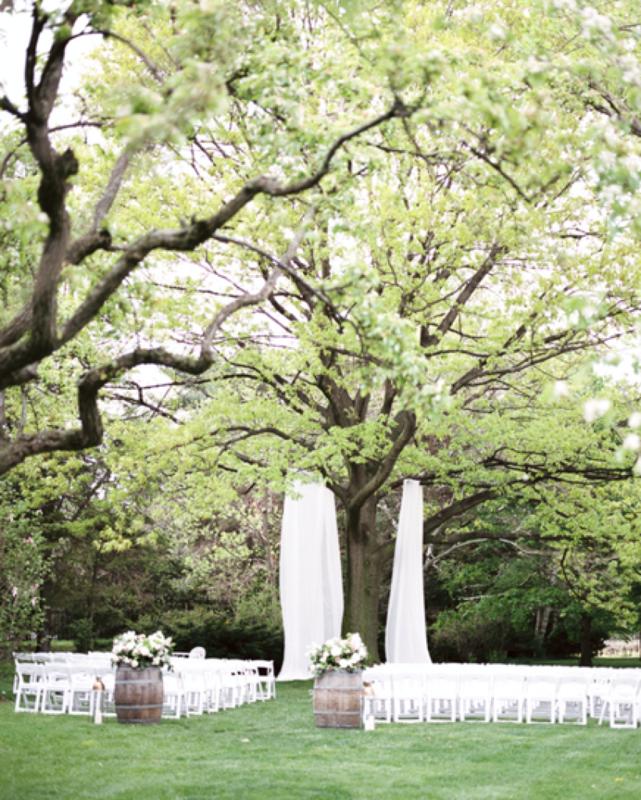 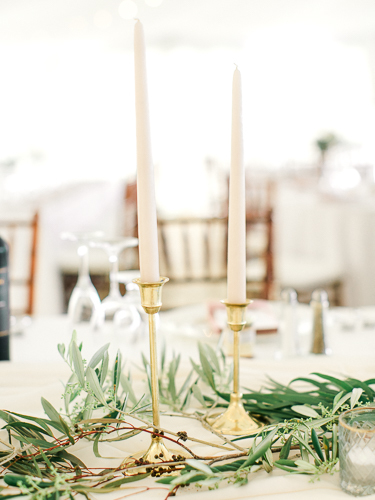 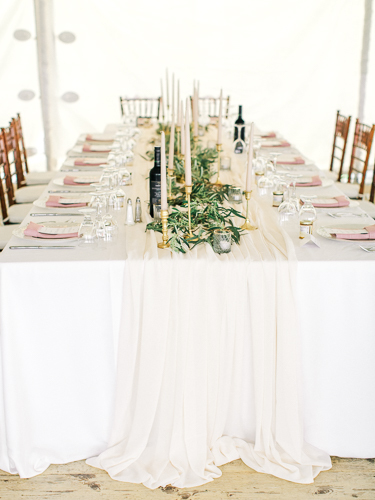 We also want to understand (and sometimes educate you on) your budget for florals, decor, stationery, and any extras. 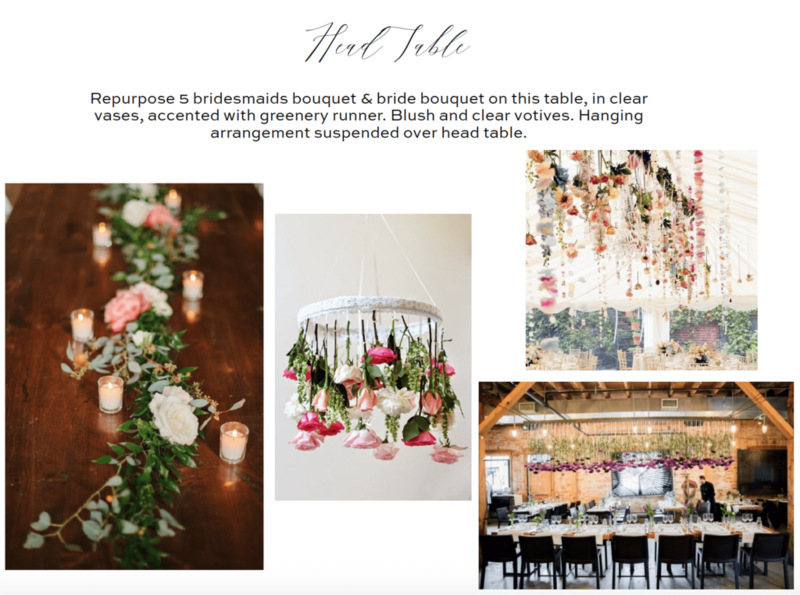 At this stage in the design process, we also visit your venue so we can stand in the space together and start to envision your day. 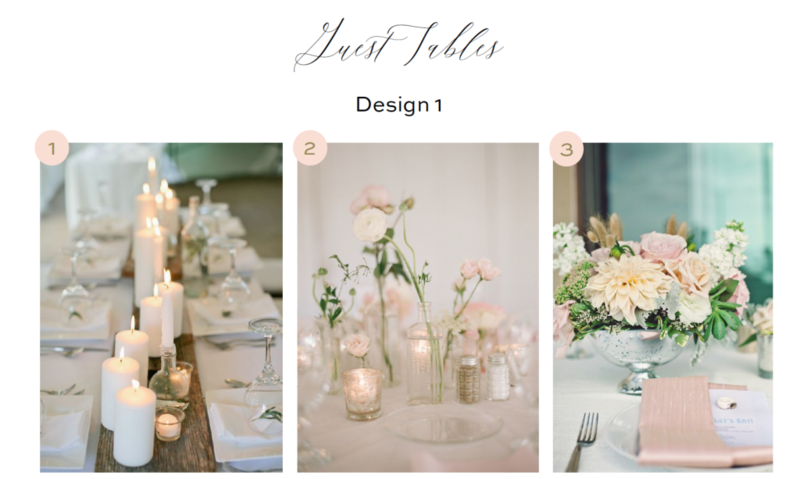 From here, we create a Design Plan that is customized and completely personal to you. 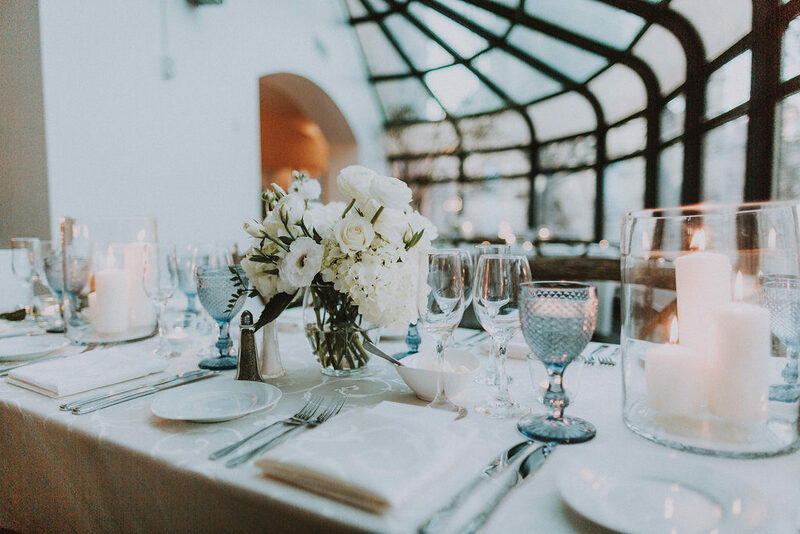 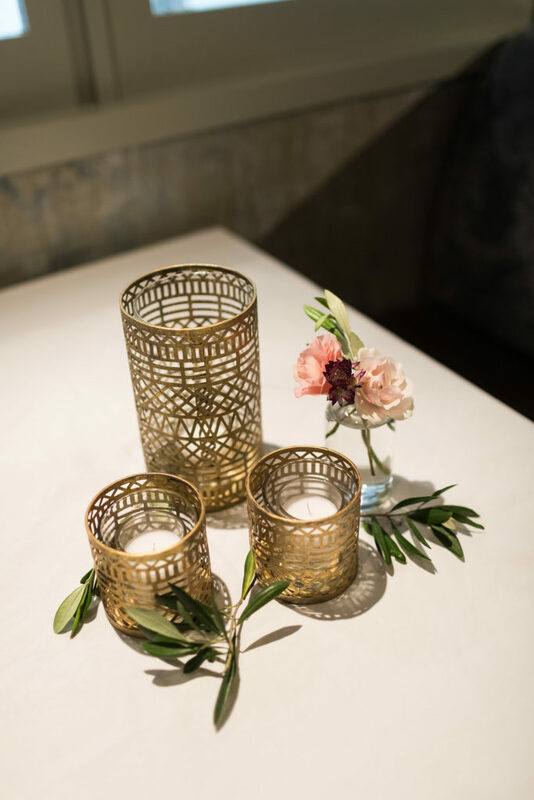 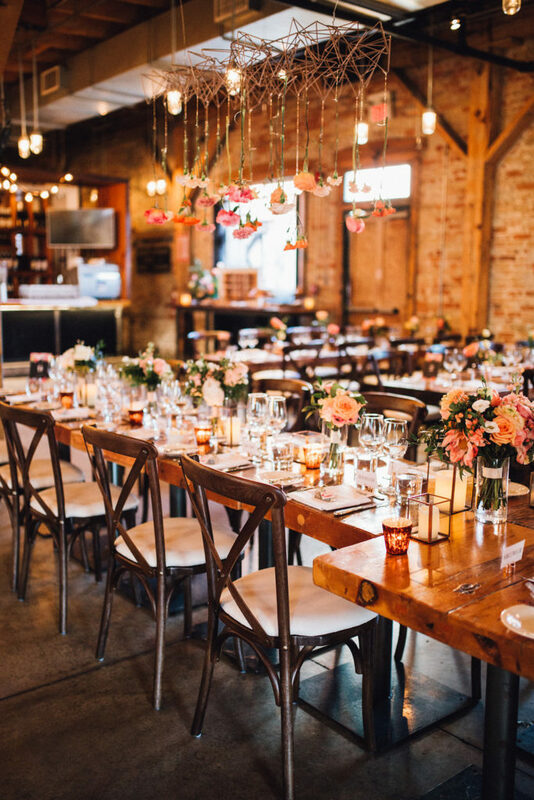 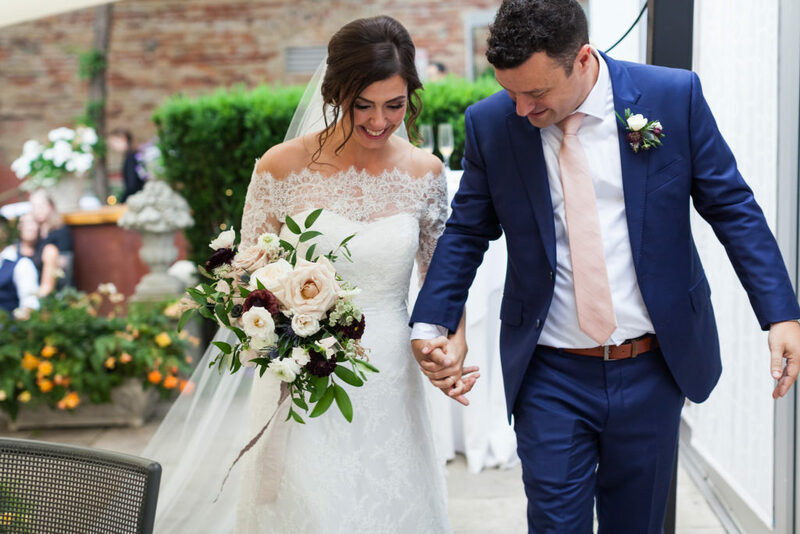 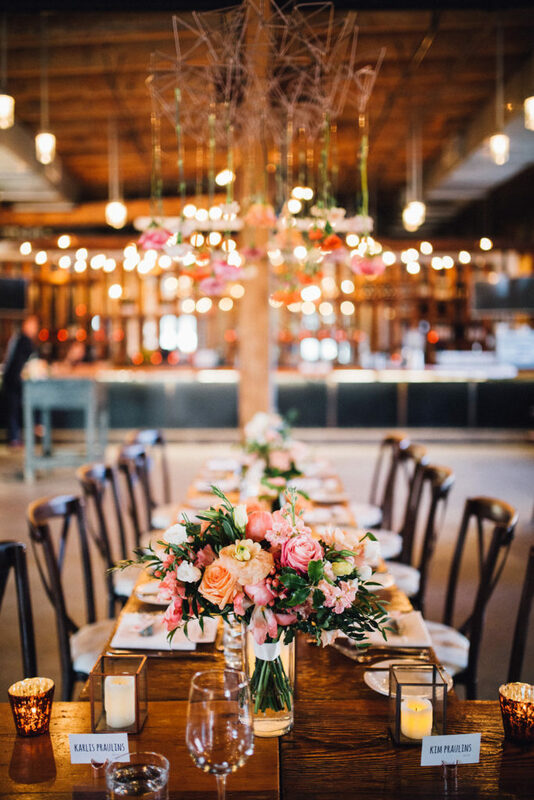 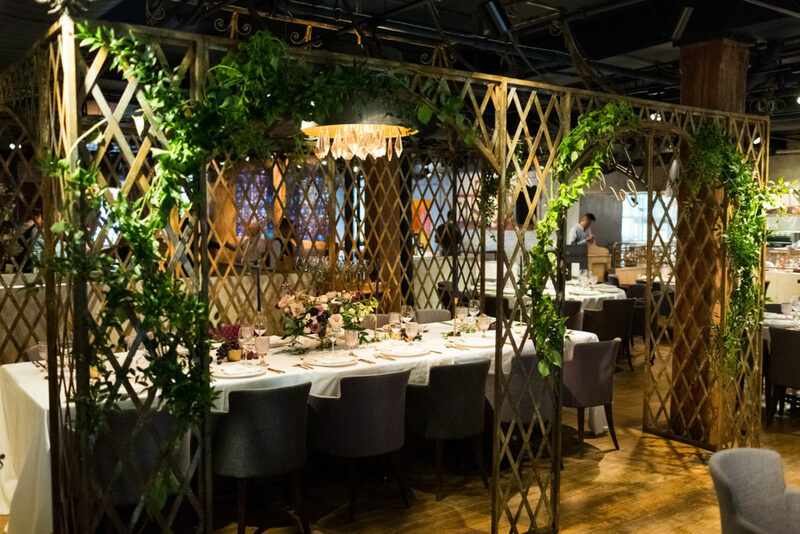 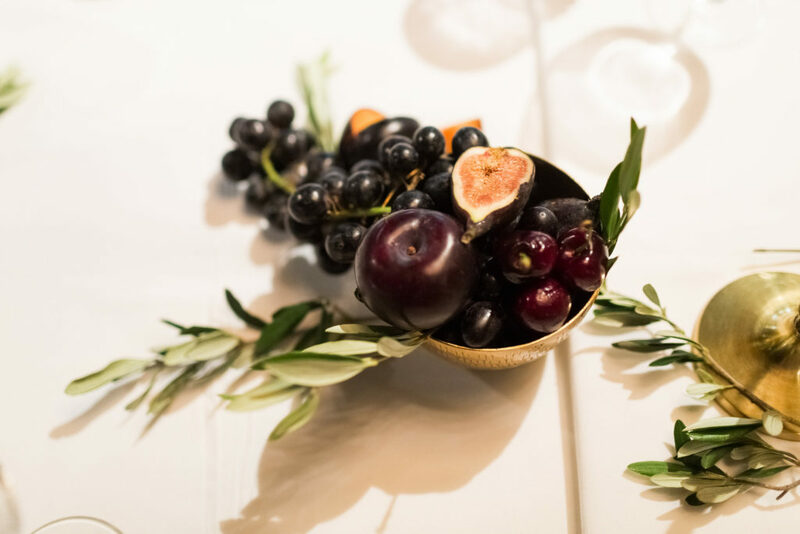 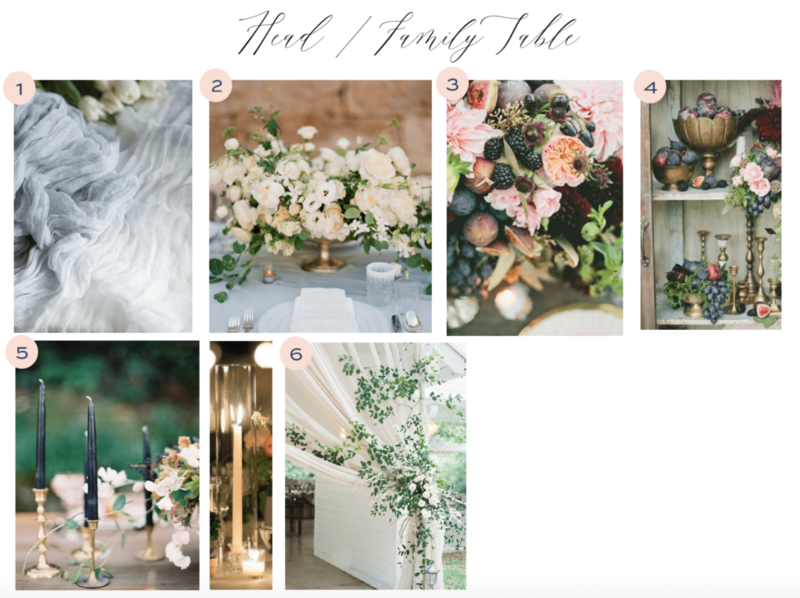 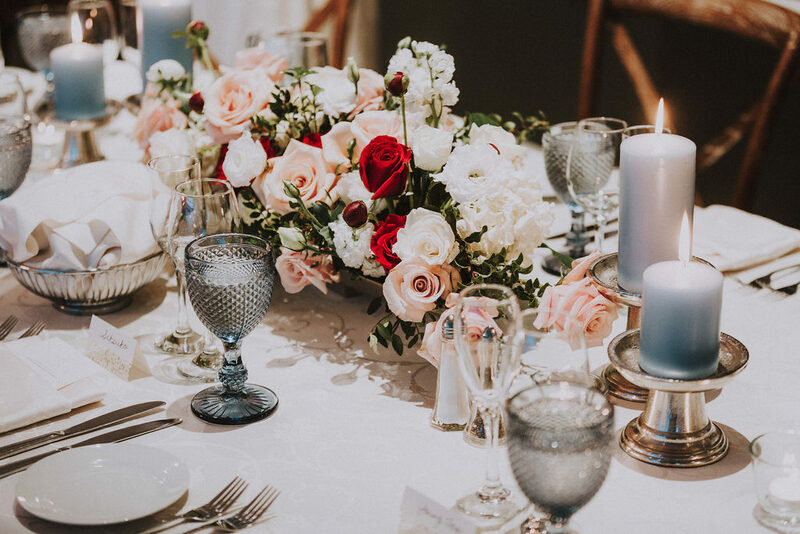 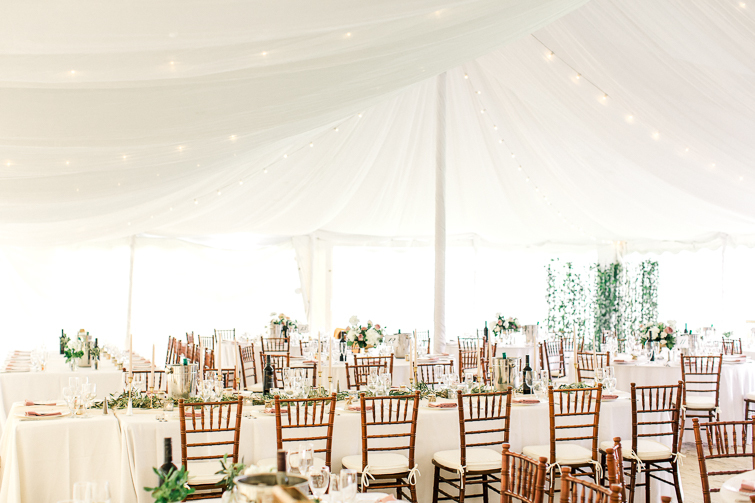 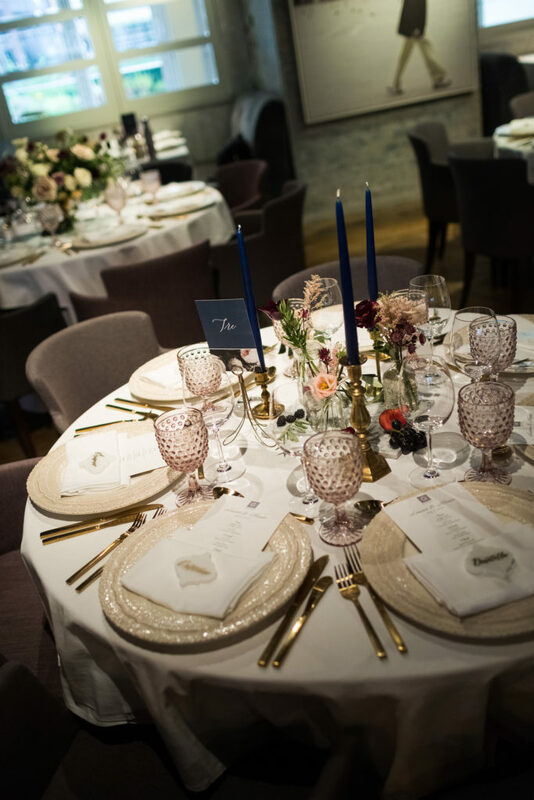 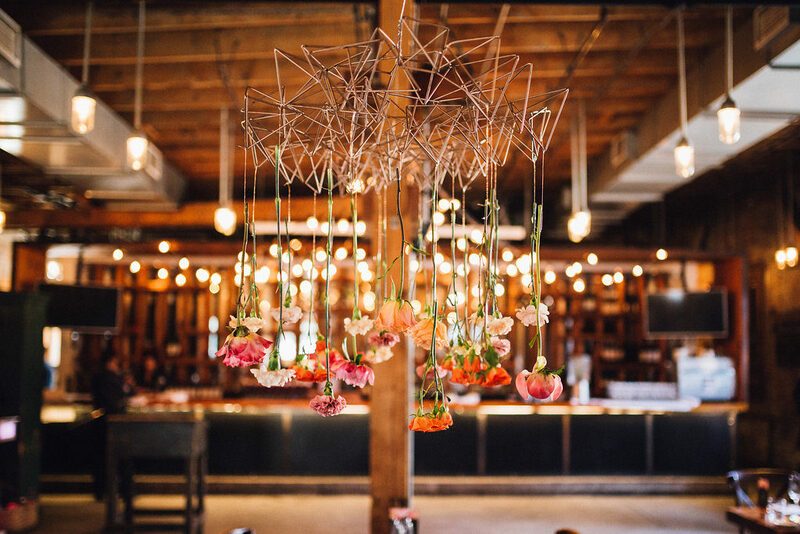 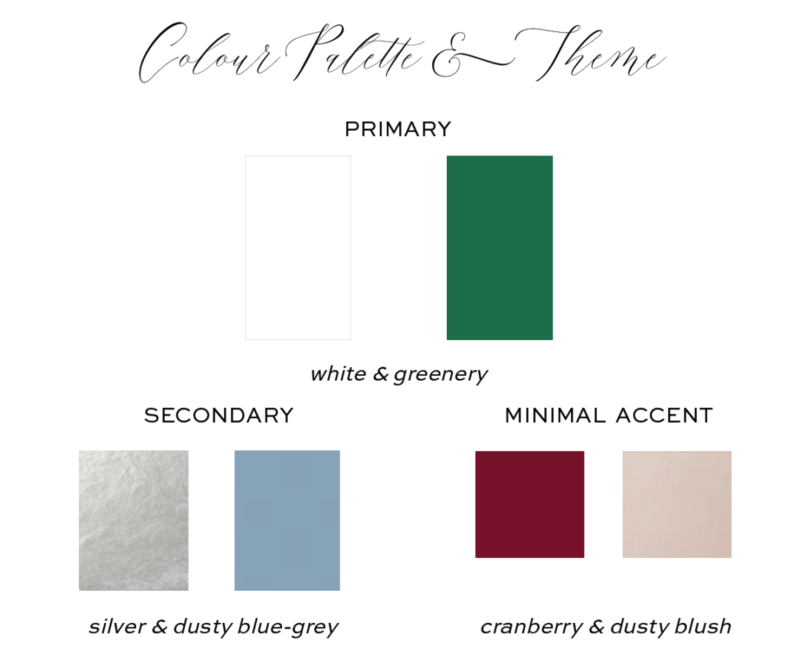 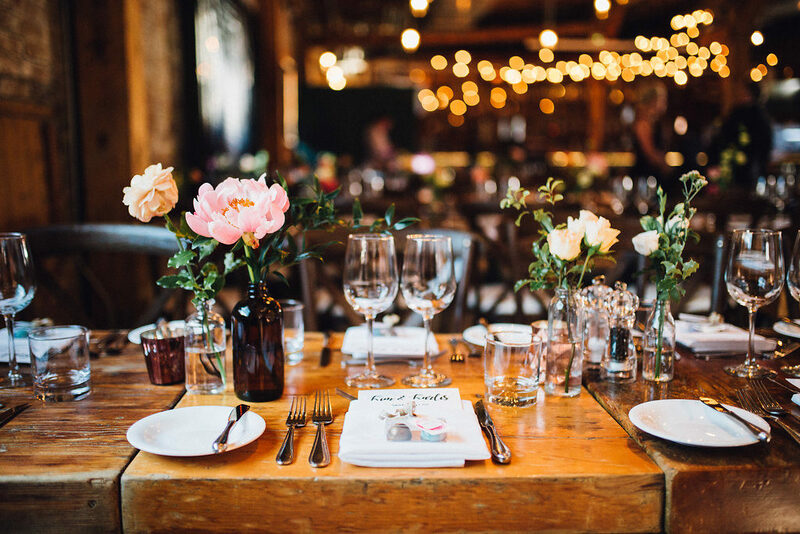 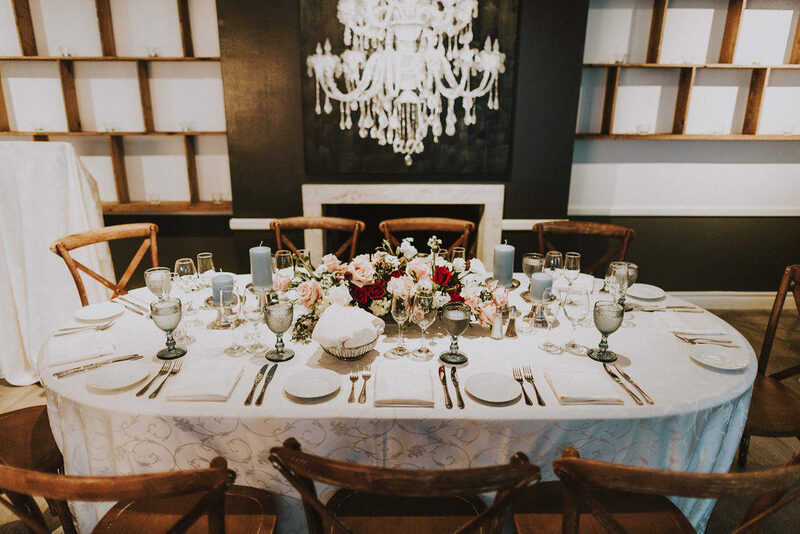 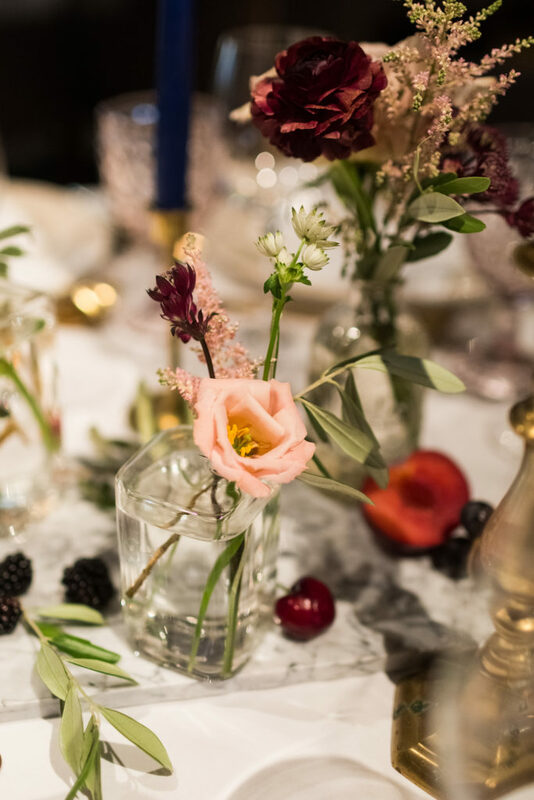 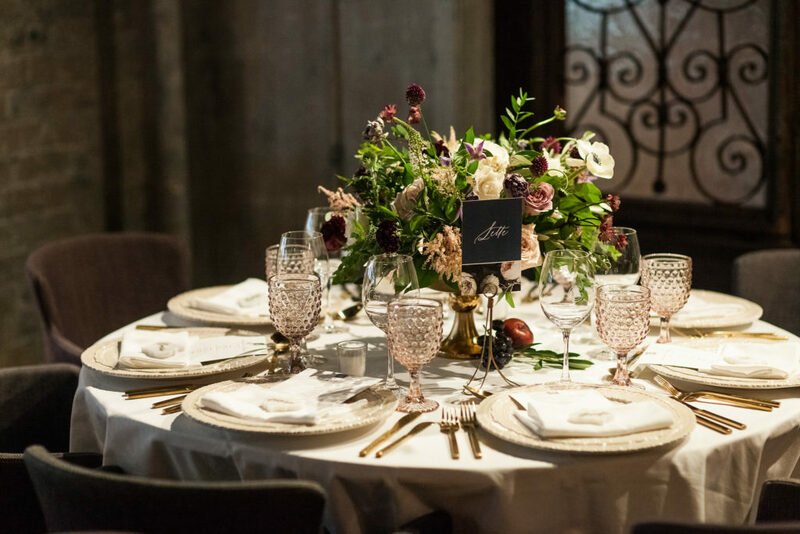 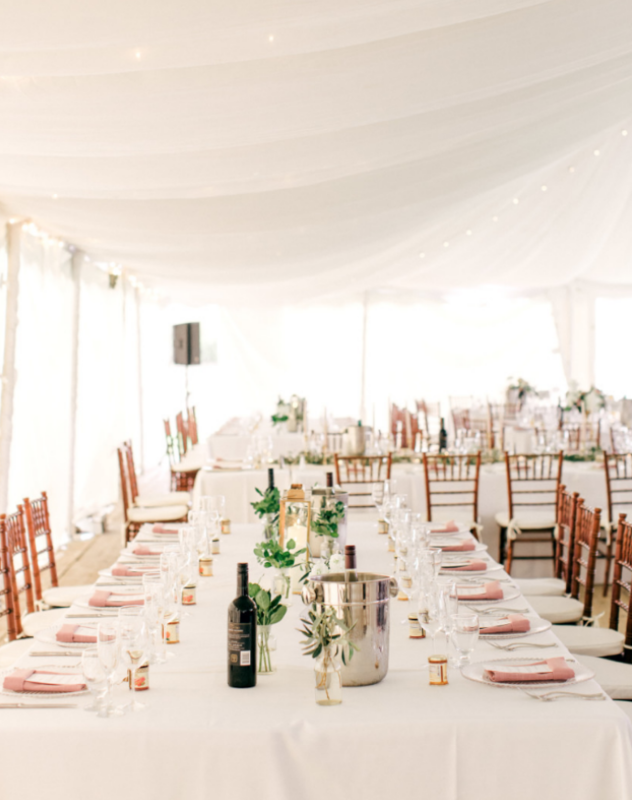 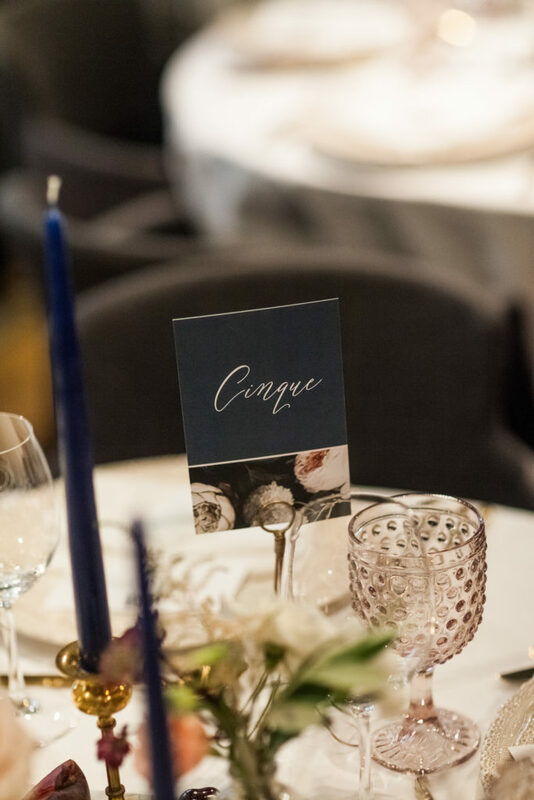 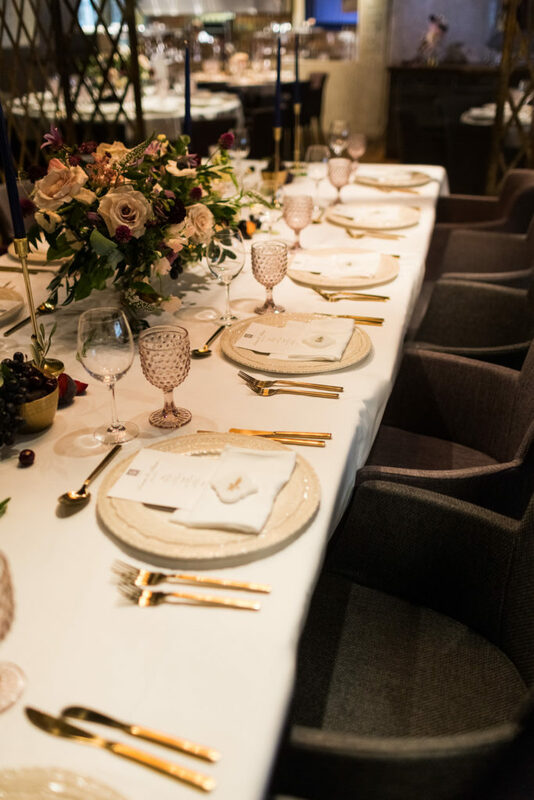 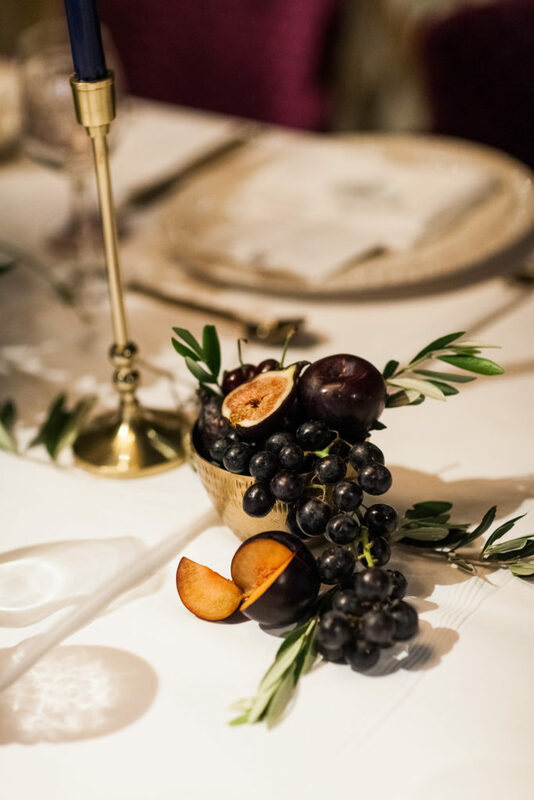 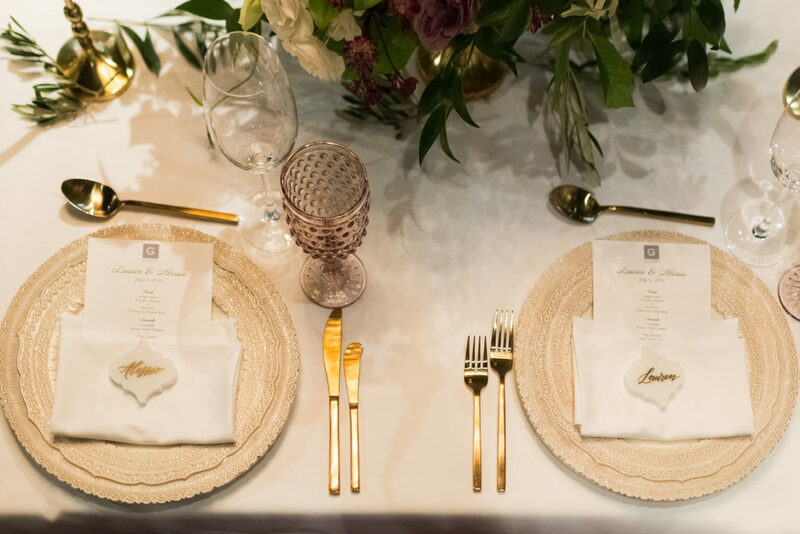 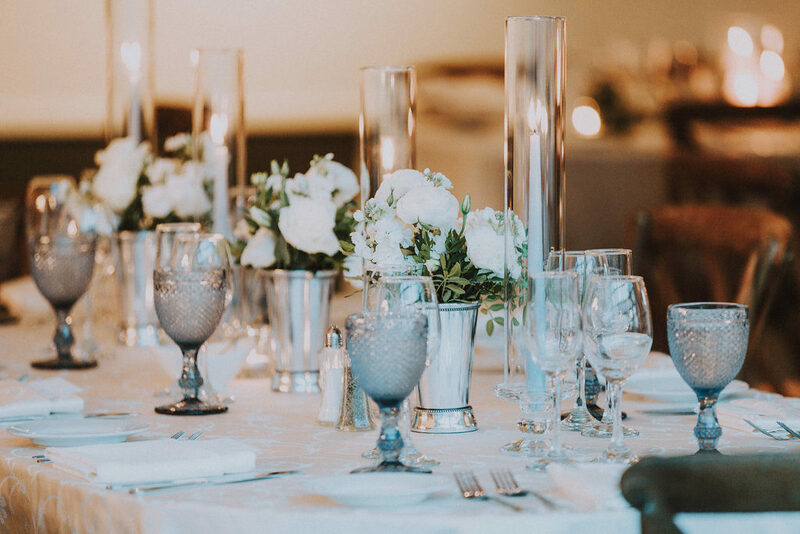 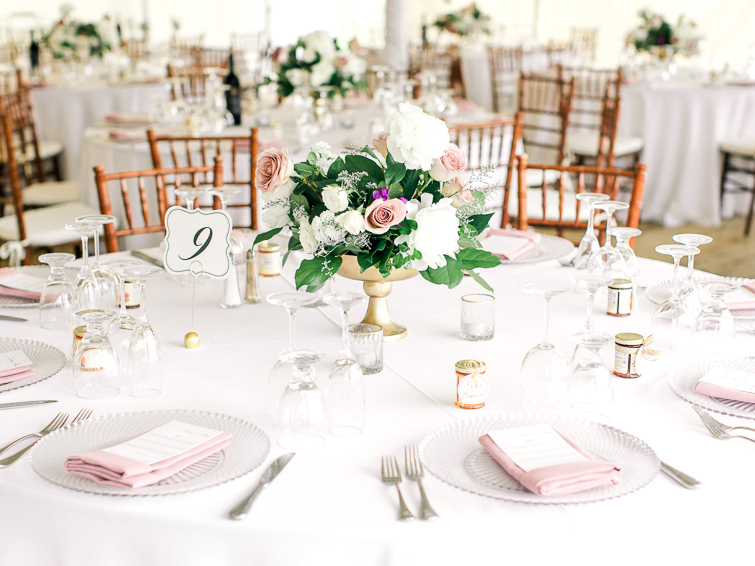 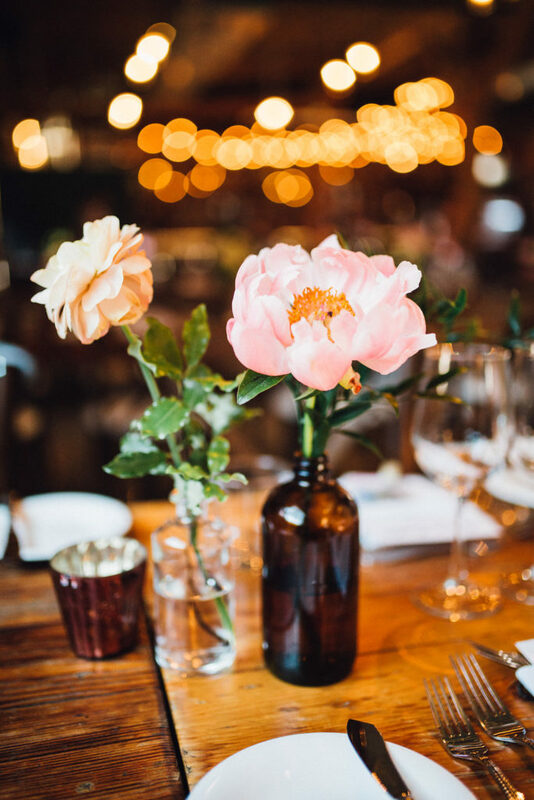 Your Design Plan will include your wedding colour scheme, floral inspiration, as well as visuals for your ceremony, reception (head table, guest tables, tabletop extras), stationery, and more. 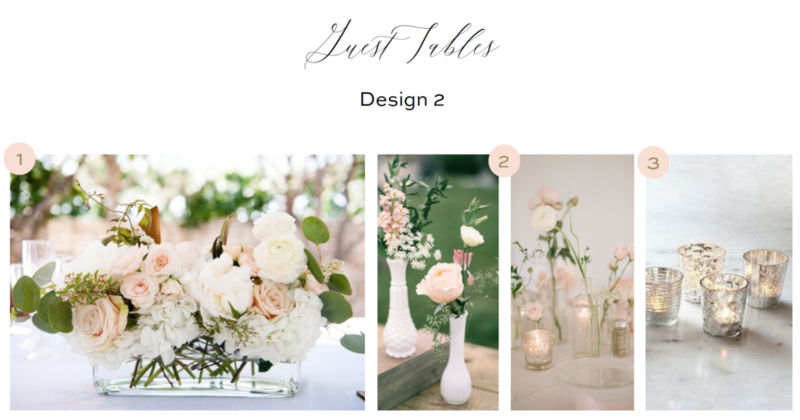 This is the first time clients are seeing how each part of their day will look and flow, and each time we present a Design Plan, we can sense the relief and panic melting away, giving way to excitement in being able to visualize how beautiful each element of their day is going to be. 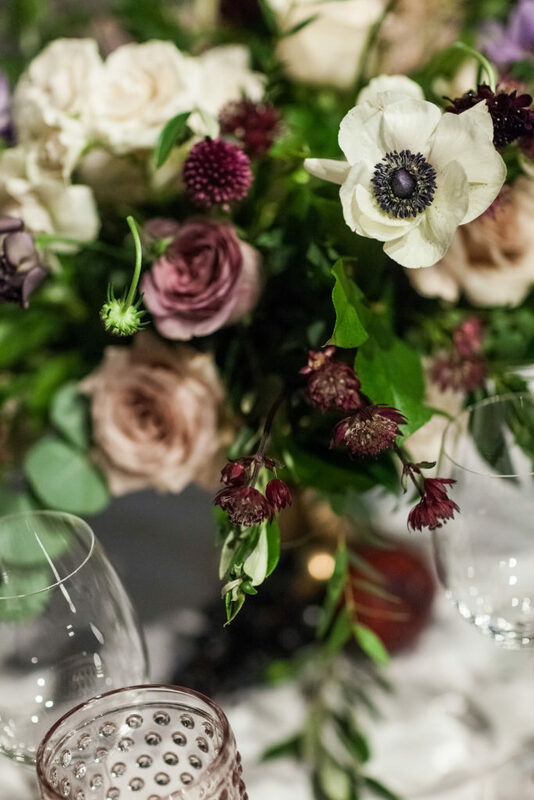 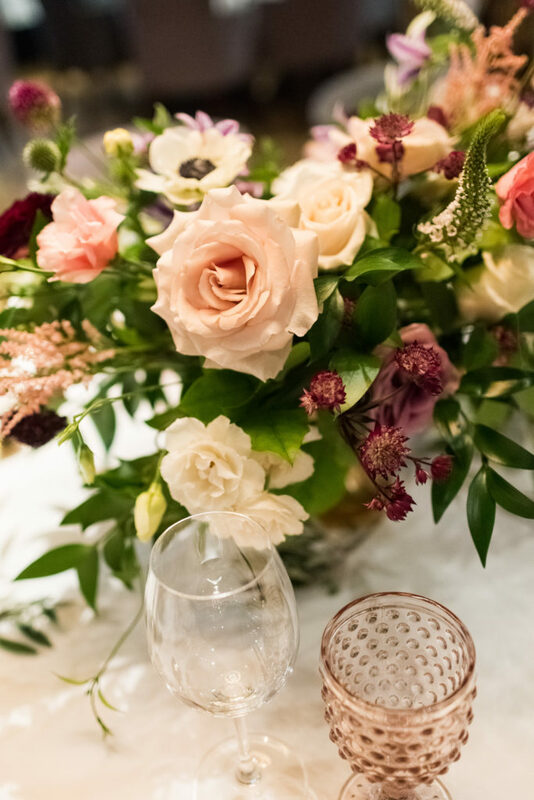 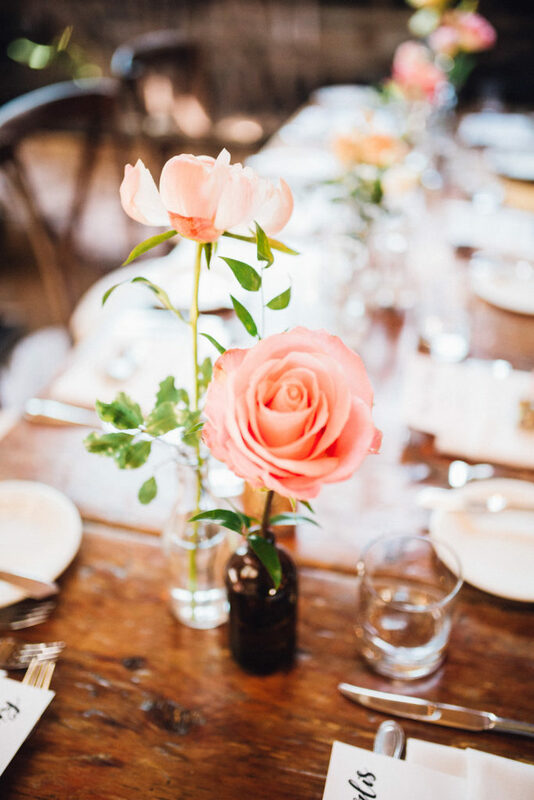 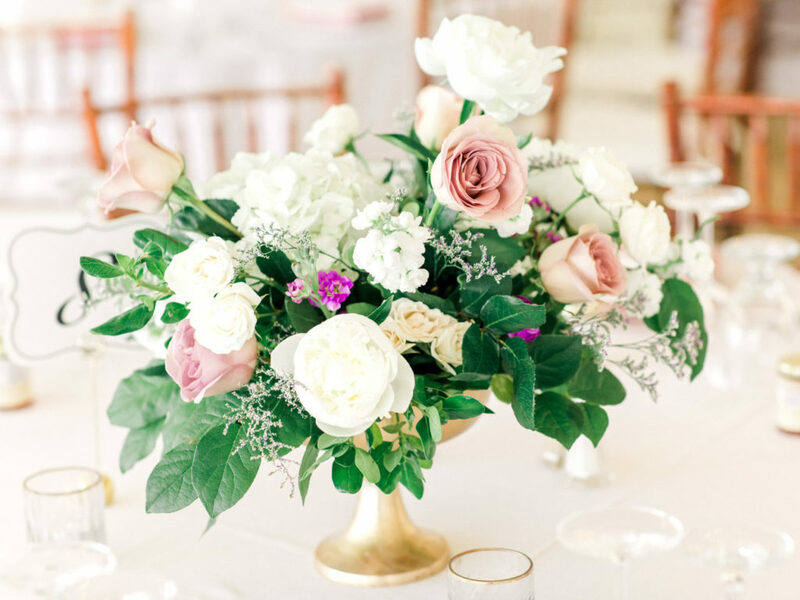 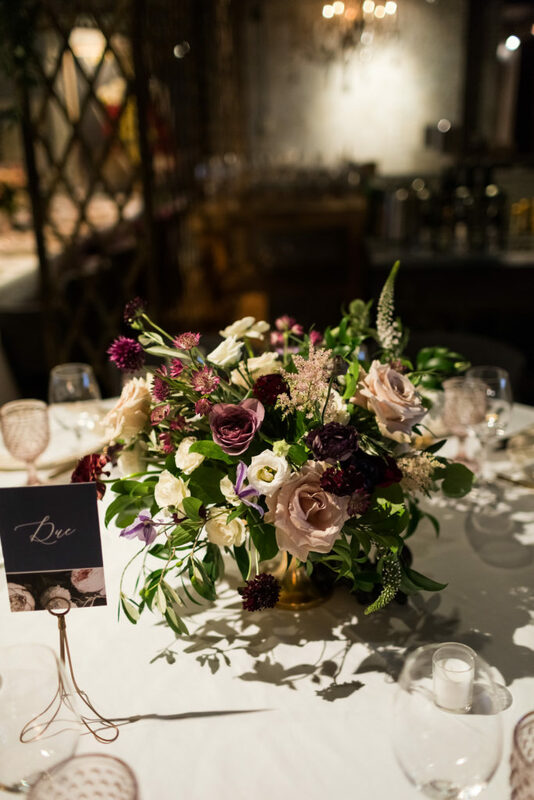 Once our clients are thrilled with and aligned to the plan, we provide recommendations and arrange meetings with florists, rental companies, and stationers who would be the best fit – budget and style wise – to execute the plan we have collaborated on. 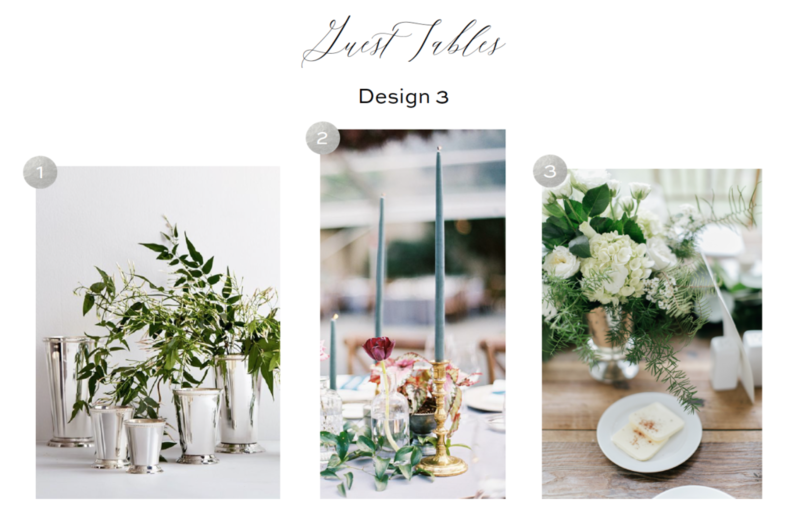 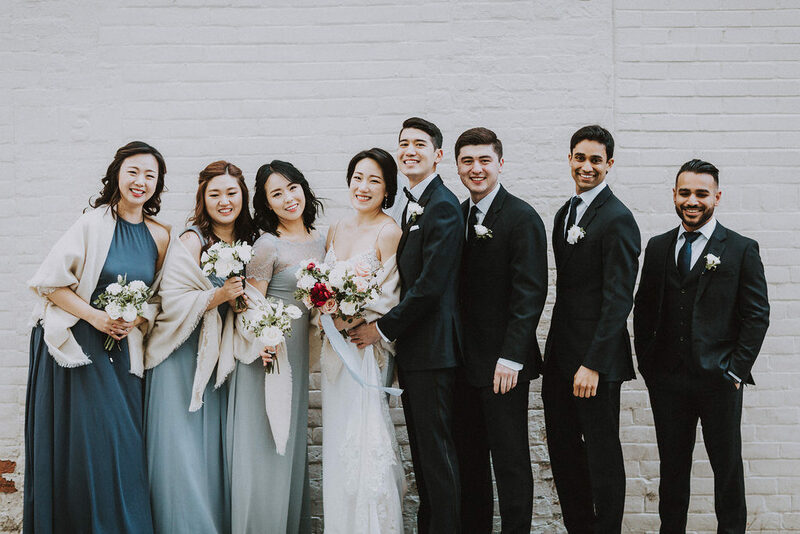 Your Design Plan also becomes an invaluable tool for the entire planning journey, as you have a reference point in which to base your other wedding planning decisions on (such as attire, cake, and so much more). 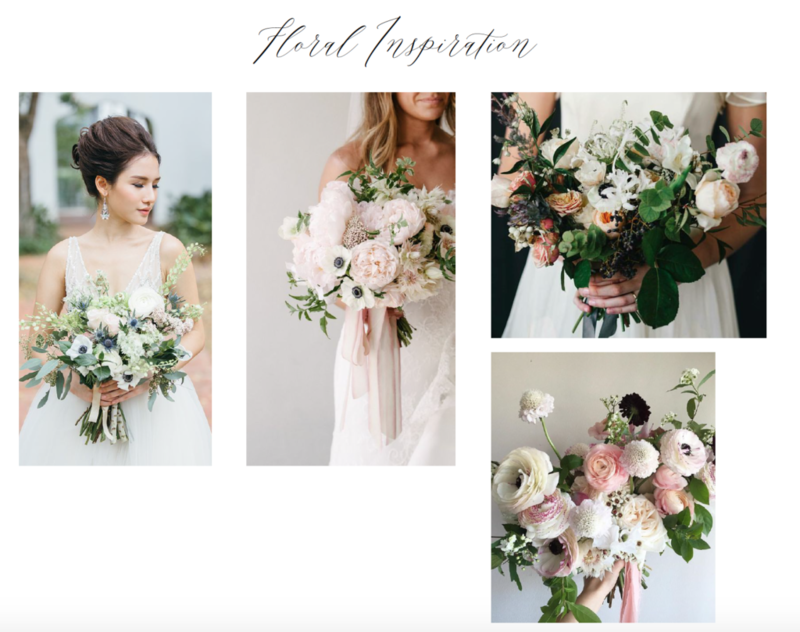 By far the most rewarding part of the design process for both myself and our clients, is actually seeing their wedding inspiration come to life on their day. 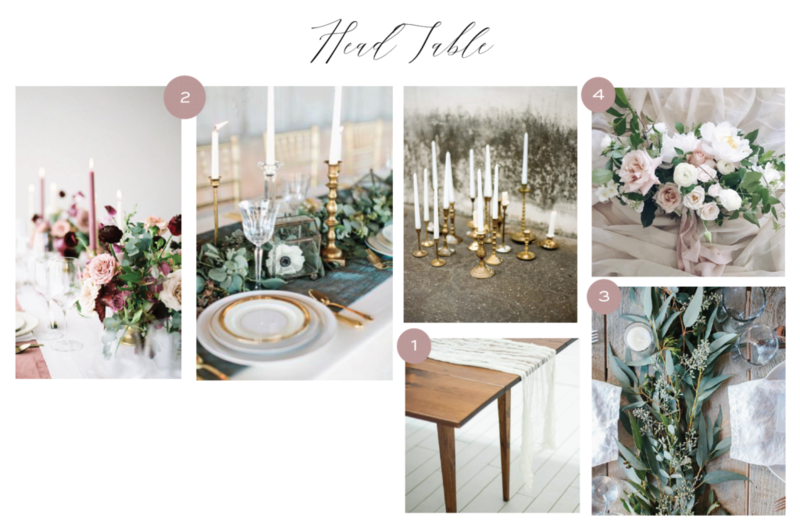 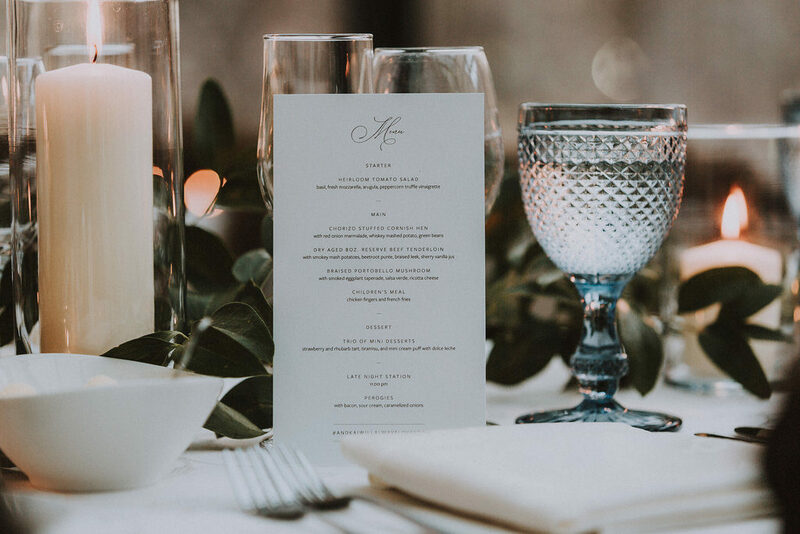 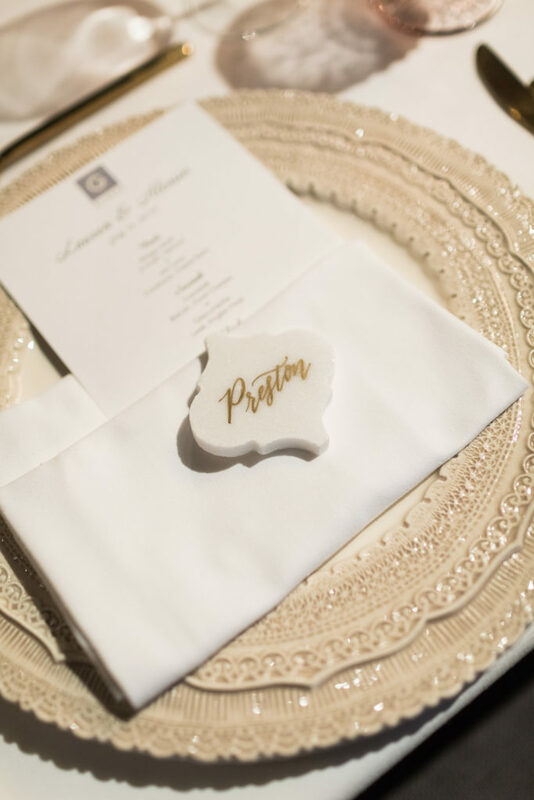 Below we’re sharing a handful of our 2018 Design clients’ wedding days to showcase just how we take our plans from inspiration to execution. 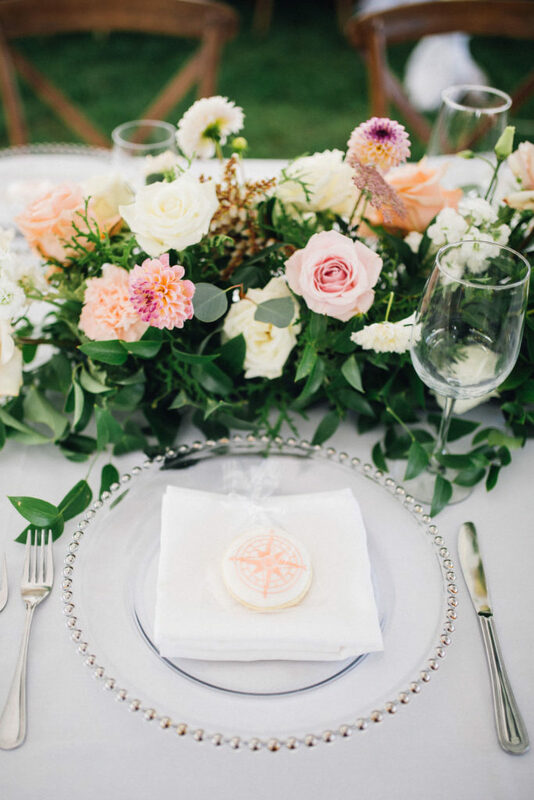 Cookies: Sweet Pea Cookie Co.